Drake says: "Forbidden Island is a simple, quick cooperative game with a similar to feel to the designer's popular game: Pandemic. Players must collect 4 items on the island and escape in the helicopter before the water rises." 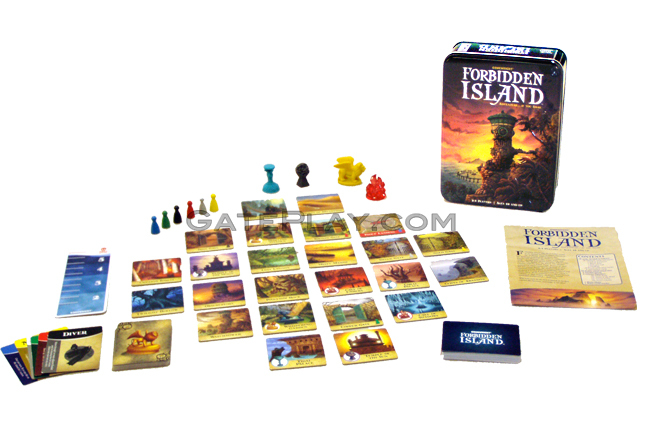 John says: "Forbidden Island is like a simpler, faster, and more family-friendly version of "Pandemic". Check out "Forbidden Island" on BoardGameGeek.com! 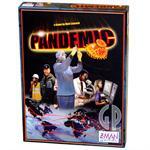 Hunchy says: "If you like the cooperative elements in this game, you'll enjoy Pandemic, Shadows Over Camelot, Ghost Stories, Space Alert and Bang! The Bullet!